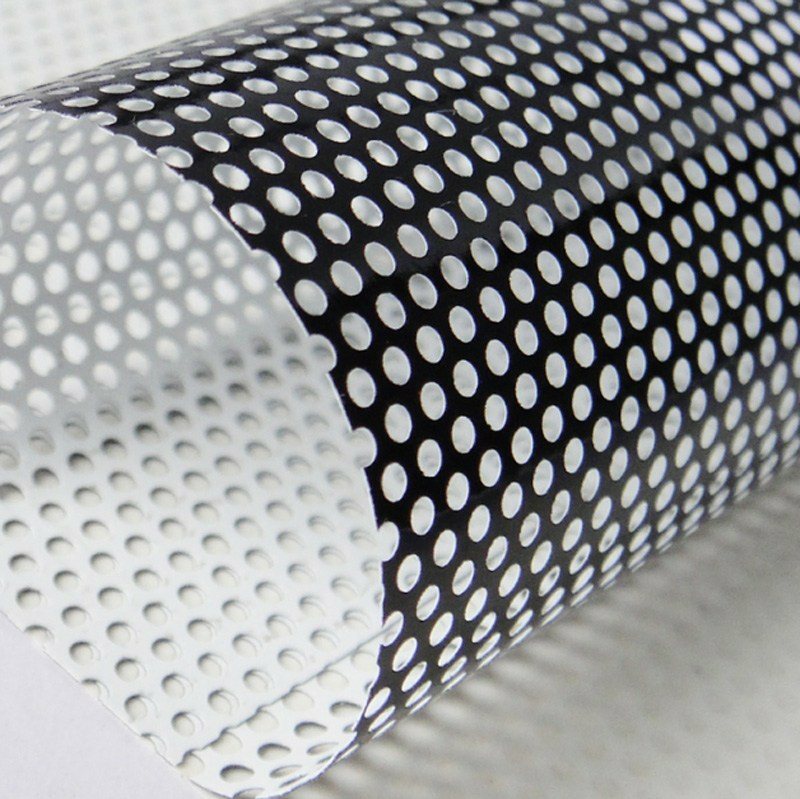 Thickness: 160 μm, diameter of holes 1.6 mm. Print area approximately 60%. Glue layer: Removable, transparent, solvent-based adhesive. Application: For short outdoor use 1-2 years and 2-4 years indoor use. To be used on flat applications such as decoration on windows of buses, metro, shops or buildings.